Check out Design Vision’s latest magazine spread in Indulge Magazine – Issue 08 out now!! 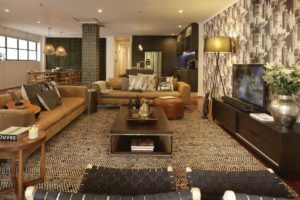 Featuring our award winning Woolstore Apartment Interior Design Project. 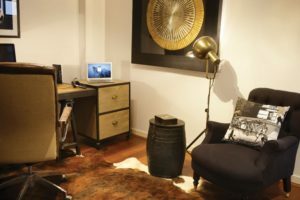 The multi-award winning Woolstore building apartment redesigned by interior designer Revy Bryce-Browning was in need of an overhaul twenty plus years after its original conception. 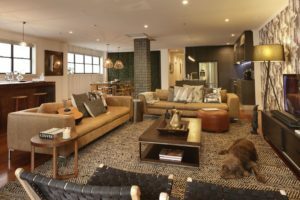 Design Vision director Revy Bryce-Browning said the Brisbane apartment she was commissioned to overhaul had become “uninviting, lacking warmth, colour and texture. 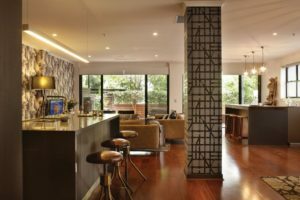 The whole thing was just tired.” The apartment had not been remodelled since its original fit-out in the 1980s. With white plasterboard walls, and a stark colour palette, the interior was very basic. “When you entered the space, you walked straight into a column, which is never good. 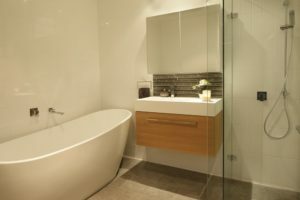 Then, the first thing you saw was the white and green laminate kitchen.” The property owner travelled extensively for business, and wanted a luxurious, sophisticated place to relax and entertain when he was home. The kitchen and living area were, then, integral to the success of the apartment’s revamp. “The kitchen, living and dining were a huge space with no definition,” said Revy. 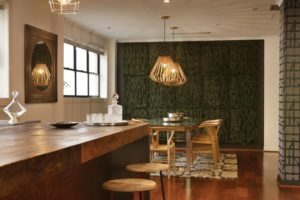 A green feature wall was added to the living area to help draw the eye to that space and beyond to the greenery outside. 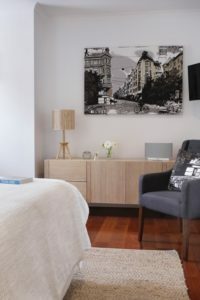 Though the apartment is set amongst the hustle and bustle of the Brisbane CBD fringe, Revy wanted to emphasise a connection to nature. 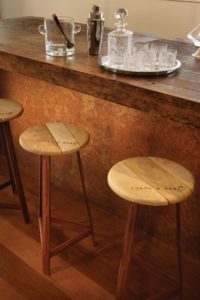 Timber furniture was added to lend texture to the design, merging with the timber floor rather than sitting on top of it. Drawing on some of the original architectural features of the building, Revy used the big window reveals practically and decoratively. 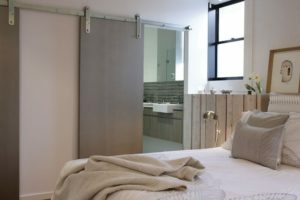 “Air circulation and a lack of light were a problem, so we took down the vertical blinds on the windows and made them a feature.” This helped to showcase the apartment’s heritage as a woolstore. Body corporate guidelines, a large dog as a tenant and having few face to face meetings with the client made the project, at times, challenging, Revy says. Delivery day did not go to plan either. “All of the chopping boards, plugs and other kitchen accessories went missing at the last minute. One of the tradies had thrown them away when we were cleaning. To request a detailed company profile please contact Revy Bryce-Browning at Design Vision on (07) 3256 9672, mobile 0402 382 455 or via email design@designvision.com.au.